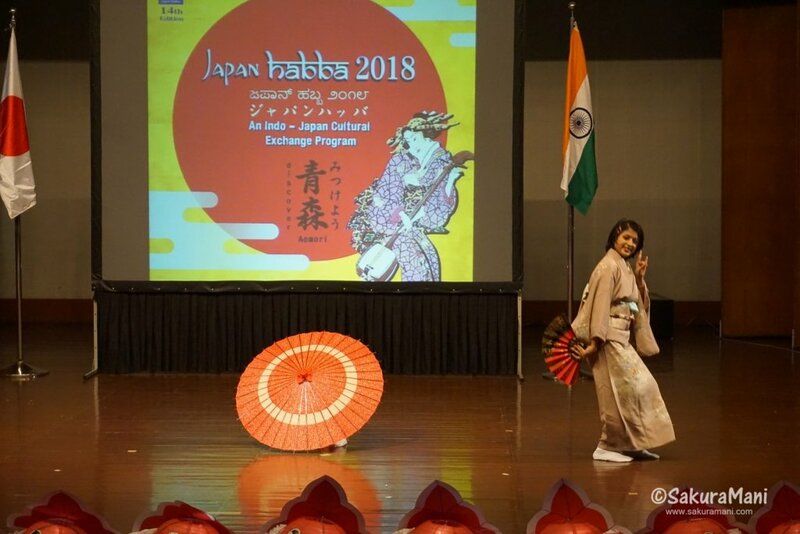 It gives me immense pleasure to share the updates and photos from Japan Habba 2018 with you. 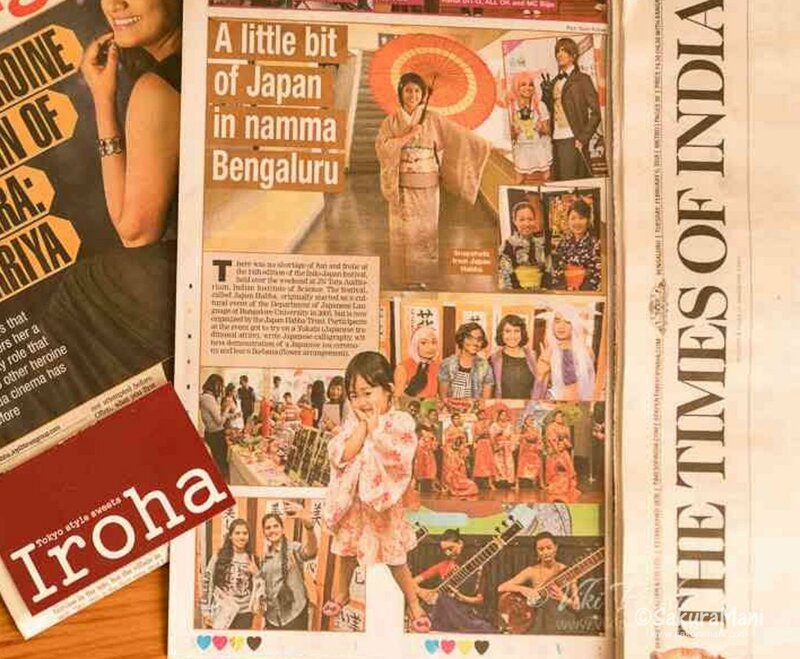 This event started off in 2005 as a small Indo-Japan cultural exchange gathering and now it has grown into one of the biggest events in the city of Bengaluru. 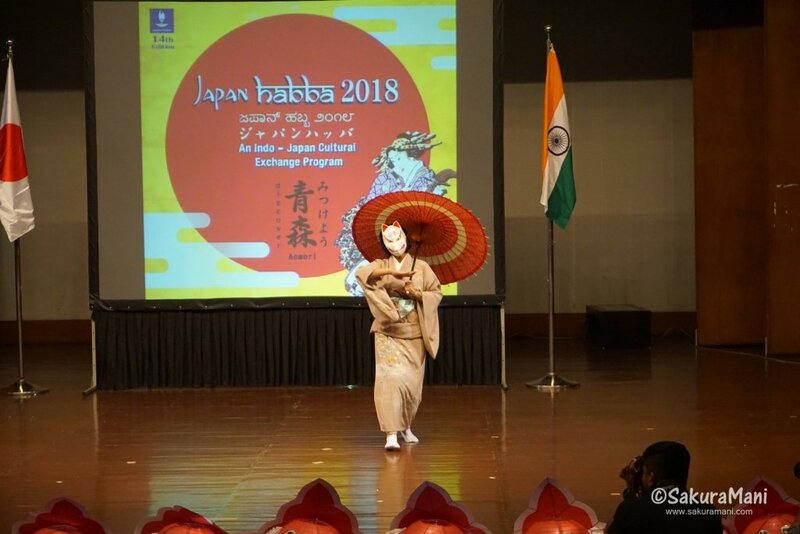 This year Japan Habba was held on 3rd of February at J N Tata Auditorium in Bengaluru. The event was a huge success. Its main attractions were stage performances, authentic Japanese food stalls and the display of Japanese arts and crafts at various galleries. Among the stage performances there was a shamisen performance by popular artists Kasai Yoshiyuki and Aizawa Hiroto, sitar performance, plays, songs and dances. And of course there was my dance performance as well. 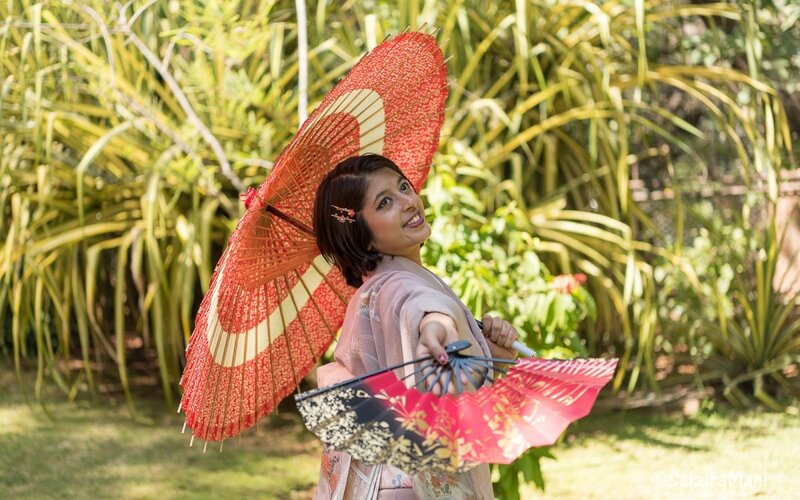 This time I decided to spice up my dance with props like sensu 扇子 (japanese fan), wagasa 和傘 (japanese umbrella) and a kitsunemen 狐面 (fox mask). The theme was featured on a shape shifting fox and the song I used was Hyakunen no Yakou by Waraku band feat. Suzuhana Yuuko. The choreography was my original but I spent hours watching Japanese traditional and folk dance videos online to learn the Japanese dance postures and steps. Although I had very little time for preparation I think I did a good job on stage haha! Let me know what you think. The chief guest of Japan Habba, the Consul General of Japan Mr. Takayuki Kitagawa gave a wonderful speech during the inauguration. He shared his ideas and vision to convert the St. Mark’s Street in Bengaluru into a cosplay street. I really respect his enthusiasm! He even made an effort to cosplay Momotaro 桃太郎 (a character from a Japanese folklore) to encourage and support anime and cosplay lovers in the city. 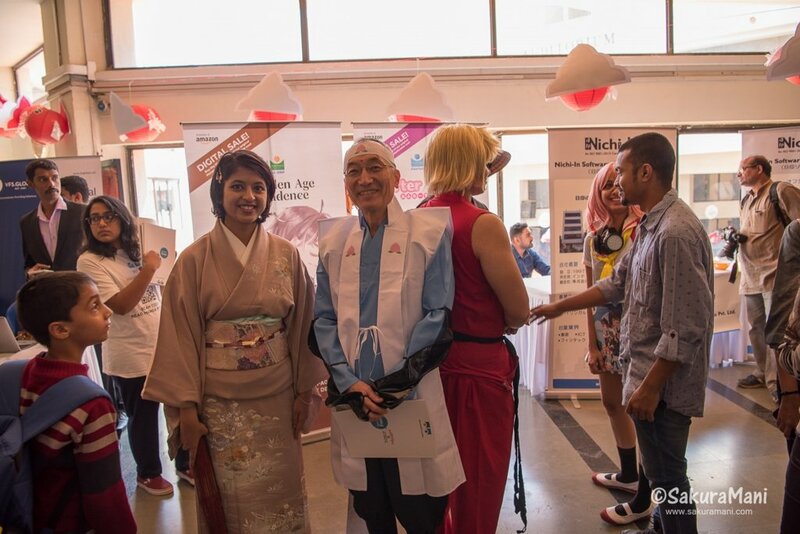 Moving on to the stalls and exhibitions, there was something for everyone who visited Japan Habba. 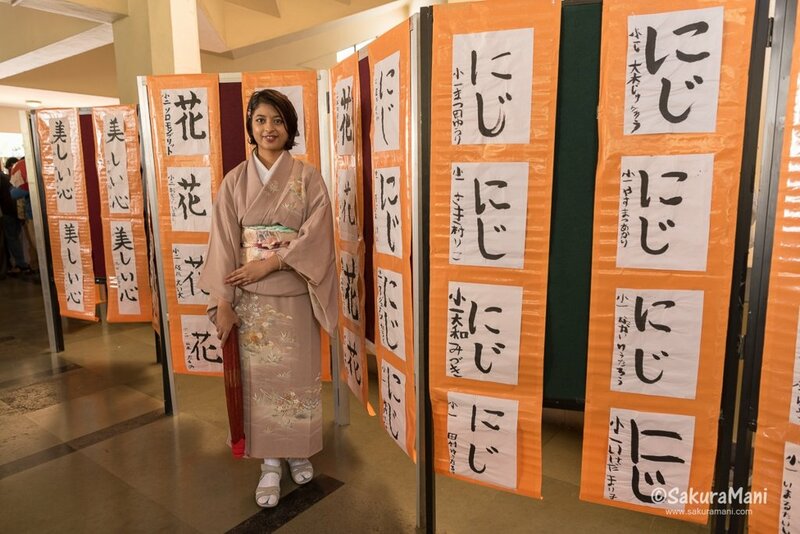 To name a few, there was a Japanese book and manga stall, Japanese calligraphy (書道) corner, display of tea ceremony 茶道, ikebana 生け花 gallery, handicraft stalls by both Inidian and Japanese craft makers, study and travel in Japan information corners and many more. I have to mention that food was just awesome. I enjoyed the delicious sushi rolls from different stalls and a sweet melon bread メロンパン from Japanese bakery stall by Iroha. Japan Habba is not just an Indo-Japanese cultural event, it is a platform where people get to experience a different culture altogether.